Once you’ve amassed a certain number of tattoos, it becomes necessary to look into negative space tattoos to fill up some of the empty space between your ink. You could be looking to fill in unused areas, link your ink to become an overall theme, or connect your different tattoos to form a sleeve. 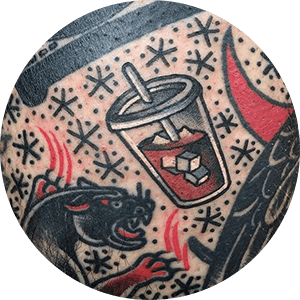 Whatever your reasons are, we’ve put together some of the most popular tattoo filler ideas to inspire you to come up with your own gap fillers. Read on to see our top suggestions for these tattoo designs. Clouds – Clouds can be great tattoo filler ideas, especially if you’re looking for something ethereal or simple to fill in the negative space of your tattoos. Clouds can represent a few different things, like overcoming a storm, a storm itself, or remembering someone who has passed. Cloud tattoo can be done in a few different ways, such as: light and fluffy looking, dark and stormy, clouds parting with light shining through, or light with some simple shading. Depending on the meaning that you want your tattoo filler ideas to add to the overall piece impacts what kind of clouds you would get in your tattoo design. Stars – Stars offer a wide variety of tattoo filler ideas, so you have a ton of options to choose from with this one. Each type of star tattoo design can have a different meaning, so keep that in mind when you’re choosing which kind of star you want to use as tattoo filler in your ink. Star tattoo design work with any style so it’s easy to match these fillers to your overall tattoo theme with these. Some potential ideas include: nautical stars, graffiti-style stars, Traditional stars, simple twinkling stars, stars with tribal swirls, and a trail of stars between larger designs. Flora – Flowers, herbs, trees, vines, and plants can be excellent tattoo filler ideas whether you want this part of your ink to have meaning or not. Plants and flowers are classic tattoo designs that can be used as standalone tattoos, or for negative space tattoos, adding natural flow to any design idea. Consider the theme of your tattoos before you pick what kind of flora you would want to add, and consult with your tattoo artist on their thoughts too. Color – Using color for filler tattoo ideas can create a unique and eye-popping addition to your ink. You don’t even need to use any particular design, just color alone can be a visually interesting addition. Things like watercolor curls, flowing colors, or solid color to fill in areas are some easy ways to fill in negative space between your many tattoos. Birds – There are actually a few different ways that birds can be used as tattoo filler ideas. Several bird species are associated with certain meanings, and can be used to alter the meaning of your tattoo. Birds also work in any style of tattooing, the most commonly used as fillers being Traditional or Neo-Traditional. In terms of tattoo filler ideas, different parts of birds can work, such as: one or a pair of wings, a bird’s head, a head and wings, or a full bird including the body. What you choose depends mainly on what meaning you want it to have, and how much (or little) space you have to fill. Waves – Waves are one of the more popular tattoo design ideas out there, and they work perfectly for filling the gap between tattoos as well. Using waves as fillers gives you some diversity in terms of style and complexity, and go particularly well with tattoos that have a water-related theme. Simple lines or waves with some shading can make connections to your other body art, because no matter how they’re done, waves are always recognizable. Simply choose how detailed you want the waves to be and let your artist fill in the rest (literally). Shading – Using shading as a tattoo filler idea works best if you have a lot of ink that you’re looking to connect, such as a tattoo sleeve that you add flow to. Different degrees of shading can impact the look of your tattoos and give it certain meanings. Darker shading, for example, can add to a tattoo and have it take on a darker, more ominous meaning that it would have otherwise, while light shade work can add depth and work to connect your other tattoos. Shading can be a great way to fill in negative spaces among your tattoos. Geometric Designs – Geometry makes great tattoo designs, both as larger tattoos on their own, or as fillers for negative space tattoos. Sacred geometry holds a lot of meaning and links us to the universe, but it can also be an ideal way to link your different tattoos. Simple lines or dots, for instance, can make visually appealing geometric fillers to any tattoos. Some of the most commonly used geometric tattoo filler ideas, aside from dot and linework, include: circles in various sizes, triangles with different angles, squares, and gemstone shapes. No matter how many or what kinds of tattoos you have, there are a wide variety of tattoo filler ideas out there to choose from. 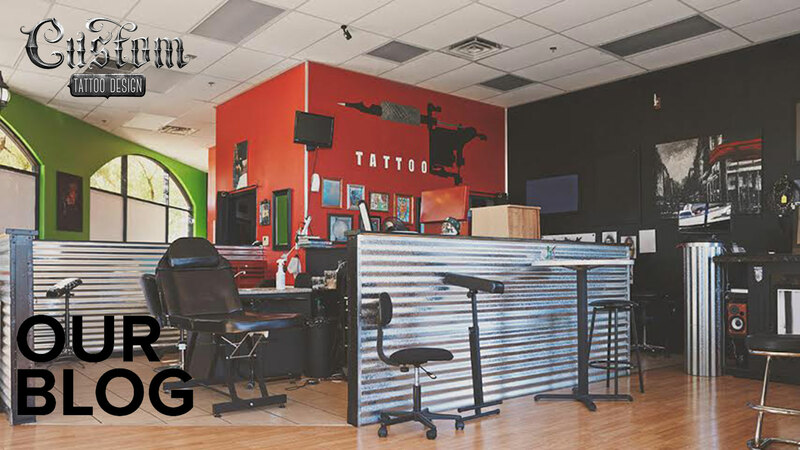 Whether you’re filling in negative space between sleeve designs, or looking to connect many tattoos into cohesive overall design, using designs that match the theme of your tattoos is a key factor in what kinds of fillers you should add. We’ve mentioned some of the most popular choices for negative space tattoos, but your options really are endless. Do you have some other tattoo filler ideas? Let us know in the comments!